We are proud to introduce a new line of original bronze work from European monasteries to provide a spiritually moving experience. 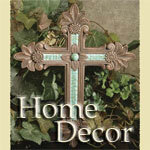 Each piece is made of solid bronze and imported from Germany. This is the Cross of Promise from the art studio of Butzon and Bercker, Germany. 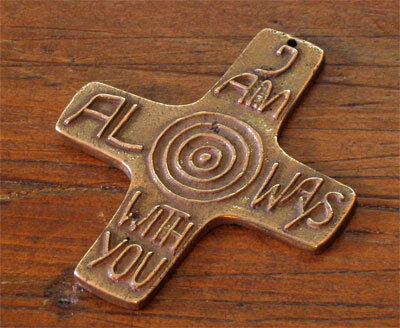 Inscribed are the Lord's words, "I am with you always." This is God's assurance to us. It can be hung or displayed flat on a table or desk. Measures 3 1/2" x 3".